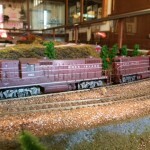 Located in the baggage room of our Rock Island Depot Museum is a ‘HO’ model railroad layout. 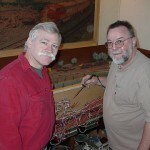 This layout features both the Santa Fe and Rock Island trackage. 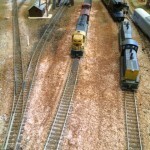 Santa Fe double main line as well as Rock Island single track is modeled on this layout. 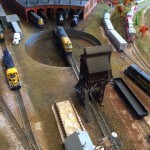 Santa Fe and Rock Island yards with engine shops are also included on this layout – with a turntable at the Santa Fe round house. 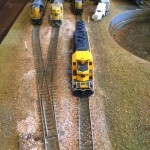 Created by former model railroad club members, this layout is capable of operating on all 3 tracks simultaneously. Be sure to check out the ‘Baggage Room’ when you visit our Depot. Donated and Maintained by Web Services, Inc.